the investigation group of the Economic and Financial Crimes Commission. 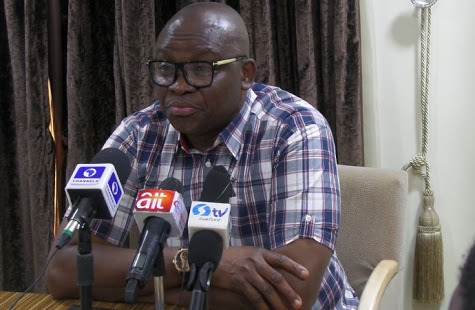 Fayose, who said he had a clean mind, small voice, advised the commission to expect him in its office on October 16, a day after the lapse of his residency. "He who has clear heart fears no enemy. The EFCC should even now expect me at 1pm next Tuesday," he said. “The school is equipped with modern equipment, laboratories, furniture and Closed-Circuit Television for surveillance."